Alaskans have long argued that the state needs an Arctic port. But maybe just one isn’t enough. That was the message from Alaska Senator Lisa Murkowski, who was among the international leaders to address the opening day of the Arctic Circle Assembly this week in Reykjavik. She pointed out that Alaska has 33,000 miles of coastline. “That’s a lot of room for ports,” she said. Dutch Harbor is the U.S. deep-water port nearest the Arctic Ocean — but it lies some 1,000 miles south of the Arctic Circle. “The fact that north of Dutch Harbor, we really don’t have a port, is simply not acceptable,” Murkowski said. Although small harbors — such as Nome — do exist farther north, they are not deep enough to accommodate larger vessels. “Sometimes it feels like perhaps, just perhaps, the United States as a nation is not being as aggressive as we would like to be with the Arctic,” she said in a plenary address. Planning for a system with multiple ports before even one deepwater port exists might not be as far-fetched as it sounds. 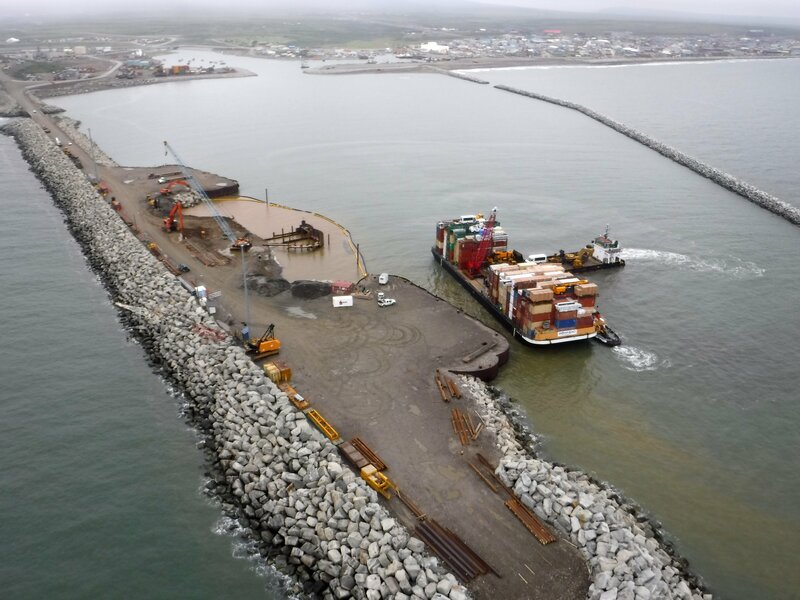 Last year, even as federal plans on a U.S. Arctic port stalled, several communities around the state — including Nome and Dutch Harbor, but also Port Clarence and St. Paul — moved forward with efforts to push for infrastructure projects. Murkowski emphasized the importance of educating Americans on the U.S. Arctic presence — why it’s necessary for commerce, national security, search and rescue, and more. One challenge to expanding Alaska’s infrastructure is attracting attention from the rest of the country. “For shipping — how do you make that real to the person in Iowa?” Murkowski asked. But the alternative is to instead receive the attention that comes only in the wake of catastrophe.